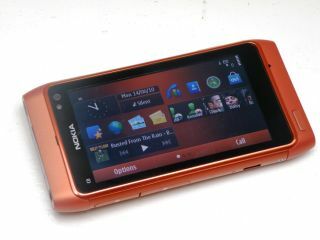 Nokia CEO Olli-Pekka Kallasvuo has stated that the launch of the new Nokia N8 will lead to a turnaround in the company's fortunes. He believes that the company's fortunes can be turned around with the launch of the new N8, the first handset to use the new Symbian^3 OS, with this phone marking the beginning of a Nokia comeback. "We are approaching the end of this painful product transition at the high end of our product portfolio," he told analysts. "Delivering the N8, with a high-quality user experience, will mark the beginning of our renewal. We will achieve our potential and regain high-end leadership in our industry." He also believes Nokia will ship 50 million handsets powered by the new Symbian^3 OS, which offers an experience closer to that of Android and the iPhone iOS, with multiple home screens and improved widgets. He states that as Nokia challenges the incumbent top smartphones in the future, the MeeGo operating system, formed between the Finns and Intel, will be key. This will be confusing to consumers looking at the Nokia N8, as the operating system used on that phone seems ultimately destined to be used on mid-range handsets – albeit fairly decent ones. Kallasvuo also hinted that the reason the Nokia N8 release date was pushed back to Q3 of this year, rather than Q2, was a question of 'quality', showing that Nokia is clearly hoping to get the user experience right this time after the debacle of the N97.